Cardio. That word has a similar effect on people as “burpee” does. We hate it. Hours spent pounding on the treadmill, atomic wedgies in spin class, and (for me) a near death experience every time I try to swim. Alas, there’s no way around it; we have to do it. But last week, something magical happened…I actually enjoyed a cardio class. 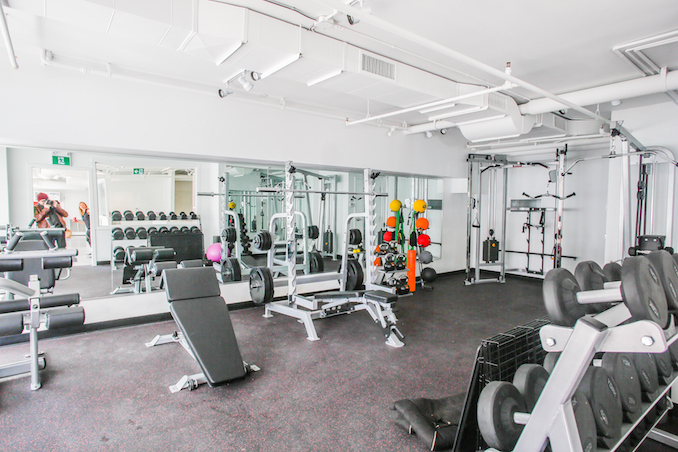 It was at Toronto’s newest fitness studio, SCULLHOUSE. 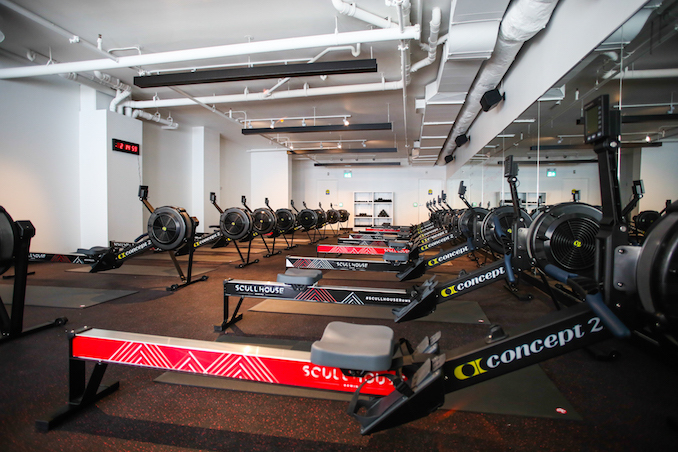 A dedicated rowing studio founded by former Canadian National team rower, Kristin Jeffery. It hardly felt like cardio at all. 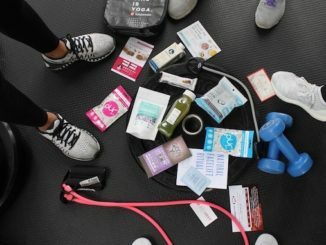 I was so focused on technique, feeling every part of my body work – legs, core, back, arms – and keeping up with the group; that I didn’t even notice when the hour had passed. 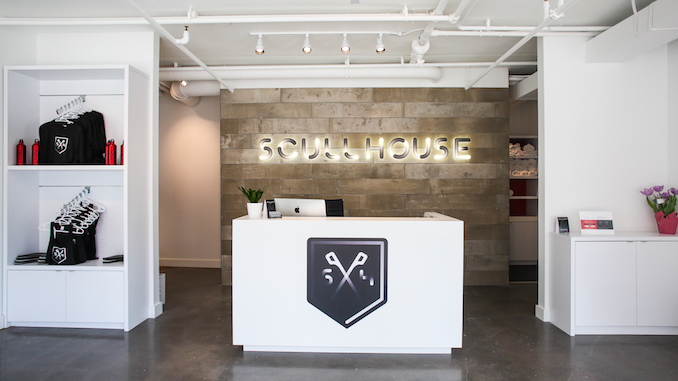 Touted “the biggest fitness trend of 2016” by Oprah, SCULLHOUSE is the first to bring indoor rowing to Toronto (and Canada for that matter). The studio is located in the St. Lawrence Market neighbourhood at 35 Jarvis Street. I caught up with Kristin to learn all about SCULLHOUSE. Kristin (middle) with me on the right and Linda, Health and Wellness Writer on the left. I’ve been rowing since 2003, so 14 years. Wow! I got into rowing at the University of Western Ontario through their Novice program. I have always loved the water and the idea of being one with a crew while powering your boat over the water always appealed to me. Once I started I was hooked. There’s nothing like the feeling of watching the sun rise, burning the mist off the water, as you row with your team. Tell me why the studio is called SCULLHOUSE. The studio is called SCULLHOUSE in recognition of the type of rowing I used to compete in. There are two types of rowing, sweeping – one oar, both hands holding that one oar, and sculling – one oar in each hand, two oars total. As a lightweight rower, there is an emphasis on sculling as the only Olympic spots are for scull rowing in the lightweight category. 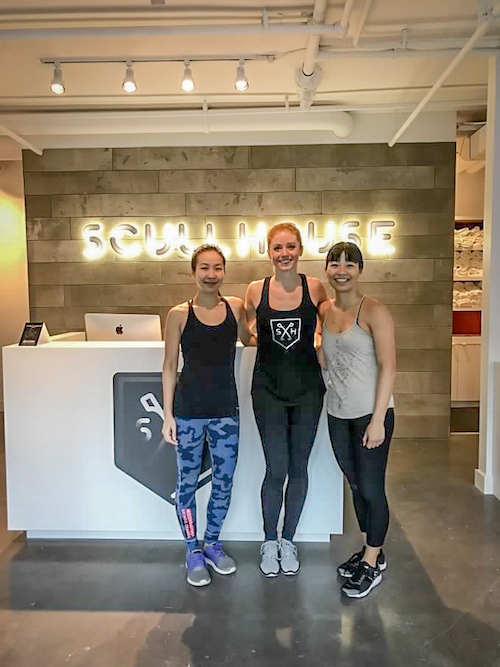 I liked the idea of having the word house in the name because it is important to me that SCULLHOUSE is a place where people come together, feel safe and included, and is a home away from home where we workout together. A home is a gathering place – that’s what I want SCULLHOUSE to be ultimately. We are currently offering four classes, with plans to offer more in the future. Classic Row is the standard 55 minute class broken into three intervals of rowing separated by 1 minute of mat work in between. Each class starts with technique and a dynamic warmup that breaks down the stroke into its component parts. Core Row follows the same format, but the mat work pieces are all focused on the core and back. 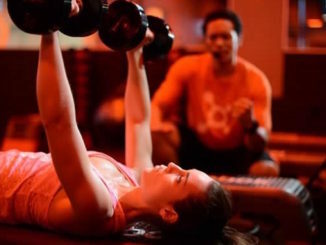 Express Row is a 45 minute class, so the intervals are slightly shorter and higher intensity. 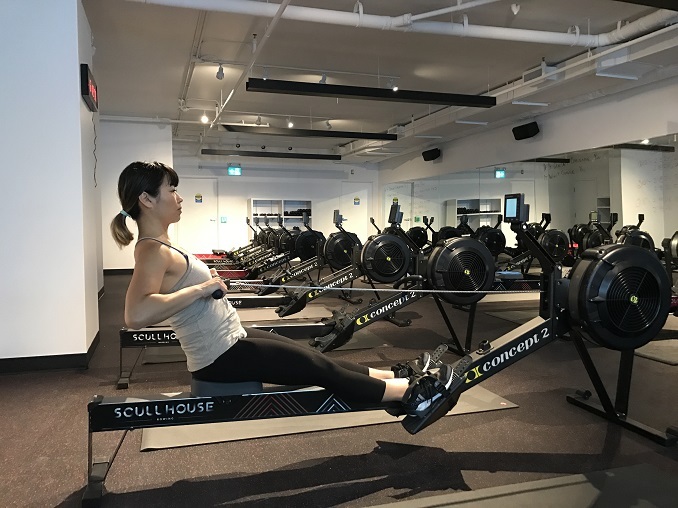 Row and Flow is 20 minutes or rowing focusing on moving meditation, really working on feeling the rhythm of the stroke, followed by 30 minutes of vinyasa flow style yoga. What can beginners expect from their first class? What do they need to bring, etc. Beginners can expect to feel challenged as they try to master the sequence of the stroke, but also motivated to learn the components and excited about learning a new skill and pushing their previous limits. I’m not going to lie, there is lots to think about, but I promise once you start to get the sequence, the challenge is worth it. We have lockers with locks you can program yourself, so no need to bring a lock or towel as we provide those too. Just bring a good attitude, water bottle, indoor shoes, and your workout gear! Learn more about SCULLHOUSE indoor rowing on their website and follow @scullhouse on Instagram.